Despite my best intentions and efforts, I have found myself in a familiar place…that dreaded last minute gift idea vortex. 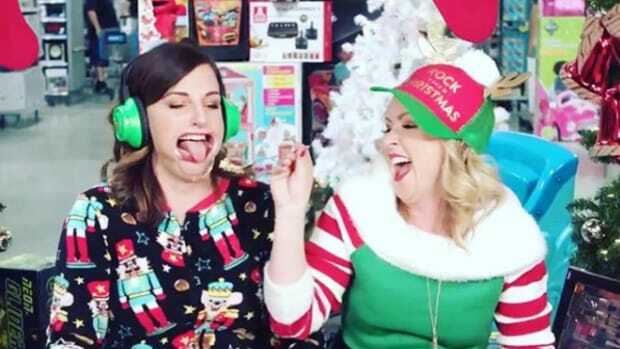 Maybe you’ve been there too – it normally happens right before the holidays or birthdays…shops seem confusing, your head is a fuzz…what to do? What to GET? Take a deep breath, I’m here to help! 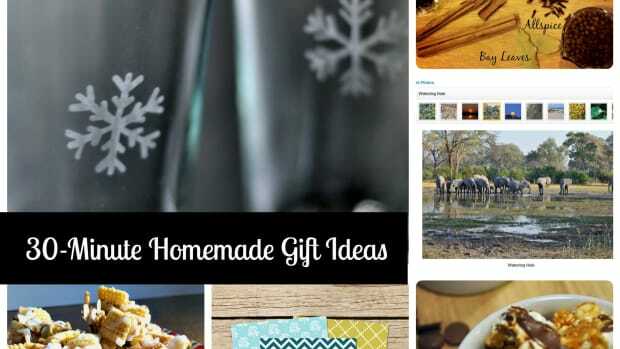 There are lots of simple and sweet homemade gift ideas that you can put together inexpensively and without too much effort. Every grandparent/fairy godmother/relative-who-you-have-no-idea-what-to-get loves a little something from your little darlings! Get out some nice quality drawing or painting paper and paints/pencils and have your children get to work. 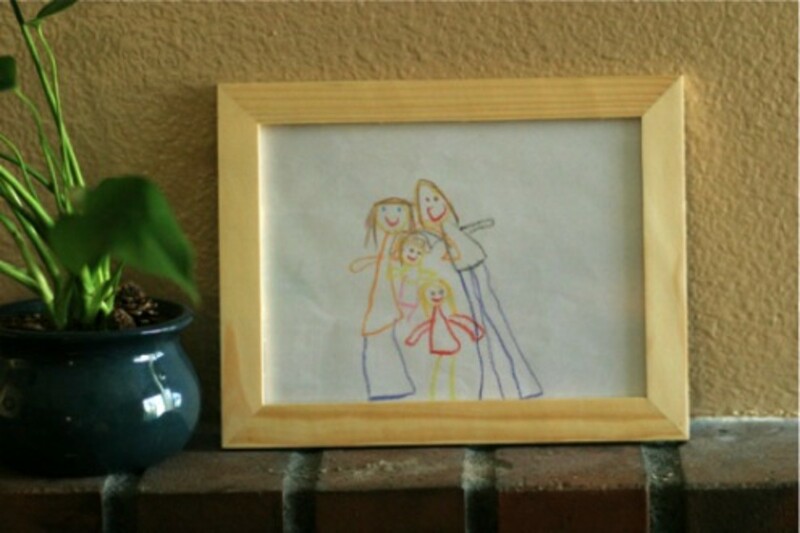 Pop it in a simple frame and voila! Gift can be done while you read a magazine! 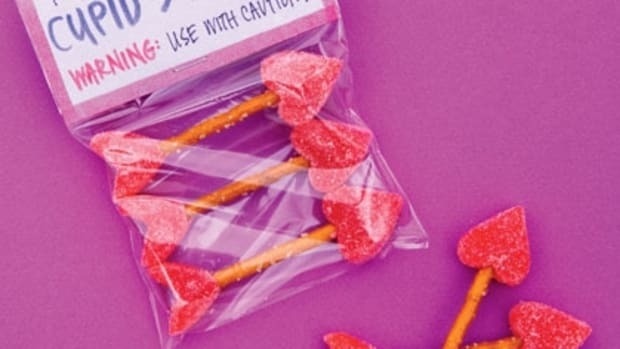 This is a great homemade gift idea for anyone! A child, teenager, budding writer/artist of any age. 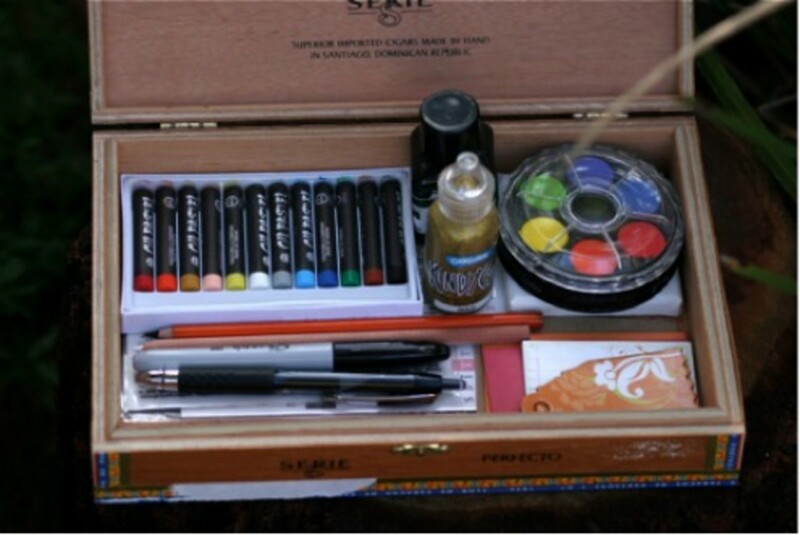 Get yourself a cigar box (often free or a couple of bucks from a wine/cigar store) and fill it with goodies for the recipient – watercolor paints, charcoals, quality pens, stickers, tags, mini envelopes, ink…all those fun things you find in an art or craft store. Adapt it to suit your loved one. Add a moleskin notebook or journal to the mix and you have yourself perfection in a box. Wouldn’t you love to receive this gift? 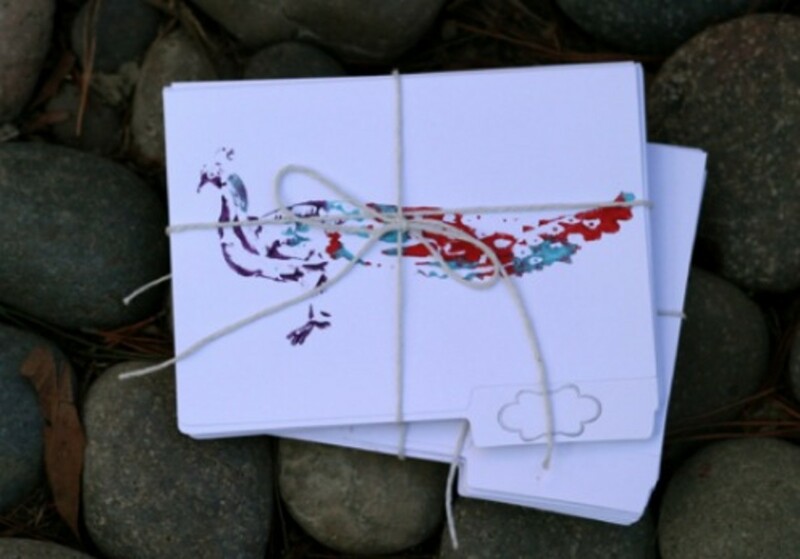 A sweet and simple gift to give – who doesn’t love stationery, especially unique and handmade? 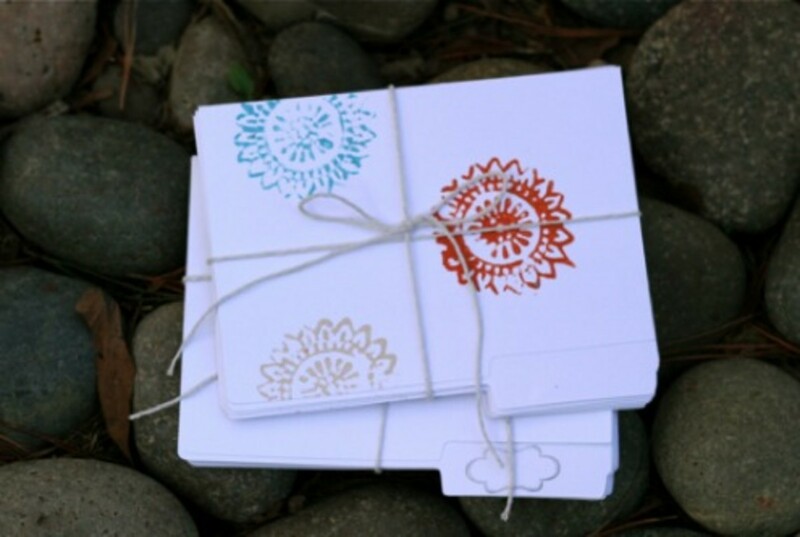 Cut and score your own cards, buy them blank, use file folders…anything you like, then stamp images to create a fun little set to bundle with string. 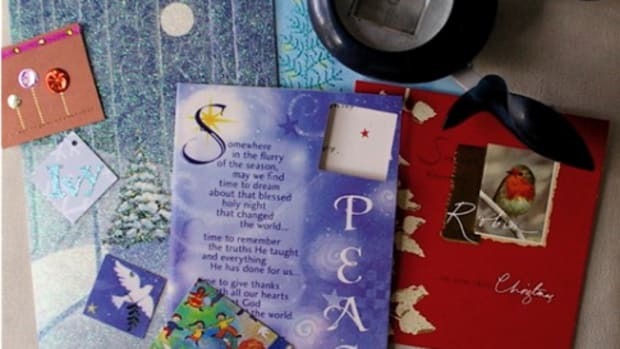 You could get extra points for making your own envelopes from recycled newspaper. magazine pages etc. You can never have too many journals or notebooks I say. 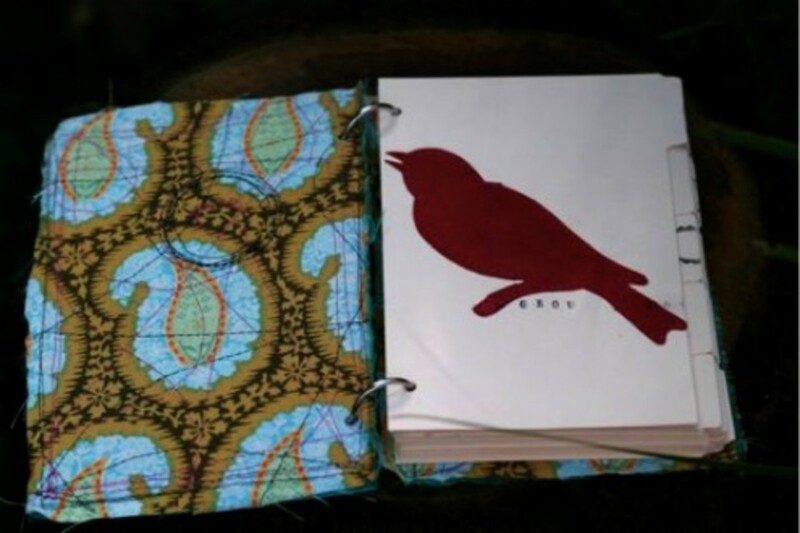 Make it girly (think fabric, felt, old wallpaper, birds, butterflies, flowers), make it manly (think leather, jute, recycled book pages, old maps, metal signs)…Use index cards for the inner pages, then cut chipboard slightly larger than the index card to make 2 pieces for front and back cover. 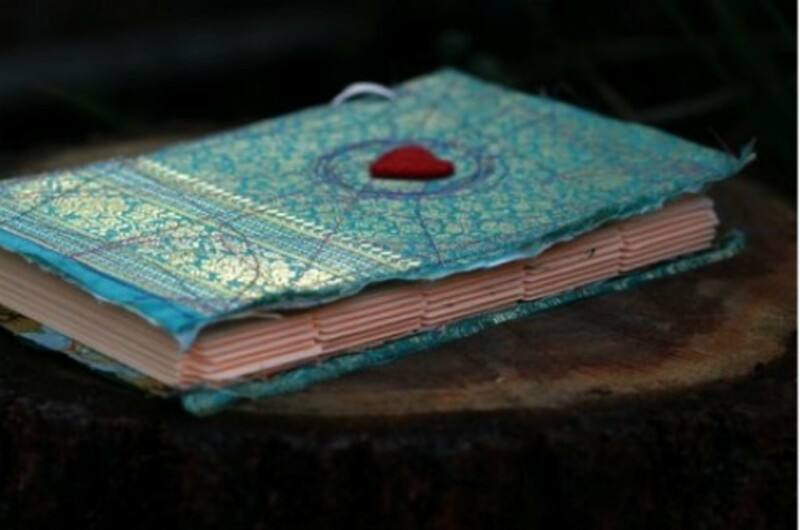 Sandwich the chipboard between fabric, or cover with paper, maps, collage etc to decorate. Stitch to hold in place (or use gel medium, mod podge etc). Punch holes through covers and inner pages (chunks at a time) and bind with metal rings for a lovely gift! (fun to make while watching sappy movies). An easy and fun little gift for a baby, toddler or small child. Cut squares from yummy fabrics (different textures would make it interesting), put 2 squares face to face and securely sew up 3 sides, and half of the 4th side. Flip right way out and fill with different dried goods such as rice, lentils, beans etc. Add a drop of essential oil to the inside, or some dried lavender, rosemary etc if you wish! Carefully stitch up the open edge. Make 3-5 of these for a fun set of bean bags to toss, juggle, play! A girl can never have too many aprons, right? Make this simple pretty for a girl in your life – for cooking, art, or just lookin’ good! Cut 2 fabric rectangles and put face to face to sew up 3 sides. Flip right way round and gently fold in the remaining edge and stitch. 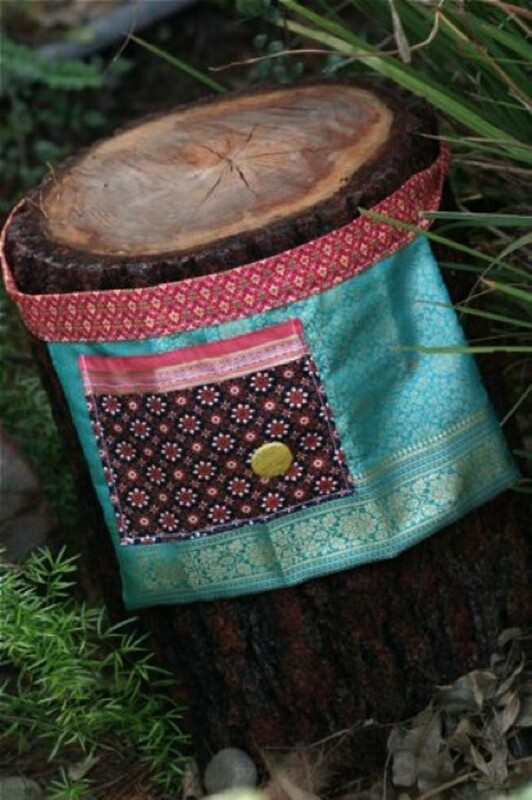 Create a pocket with a contrasting rectangle of fabric. Sew ribbon along the top part of the rectangle first, then pin to the apron body and stitch the 3 sides to create pocket. (*another option is to hem the 3 sides first, or encase in ribbon and stitch. Or be lazy like me and say the frayed look is hip right now.) Cut long strip of fabric for the waist-tie, sew and flip right side out again. Finish ends with a zig-zag stitch. Pin apron body to band and stitch securely. 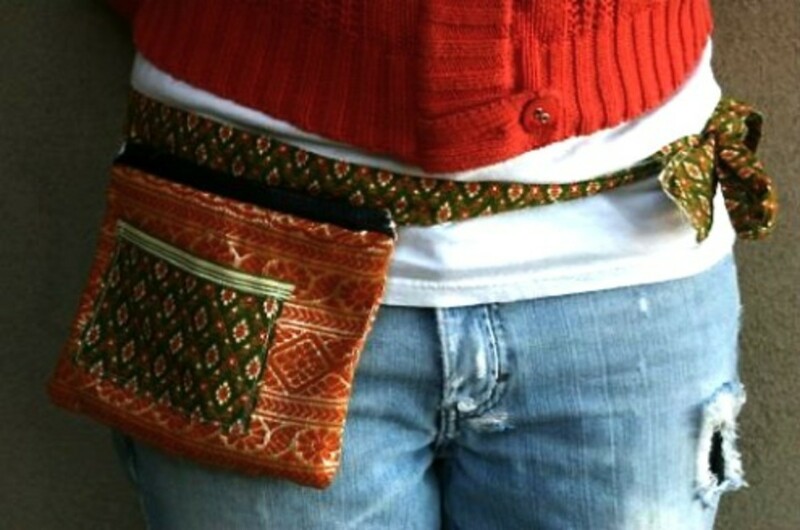 Adorn pocket with button, flower etc – maybe put something secret in the pocket too?! No, not that kind – but now that you mention it…ahem! What friend wouldn’t love some free babysitting coupons? What mother a foot rub or trip to the movies with you? A clean house? (I’m not volunteering for that one! But I would love to receive it…). Make some cute little coupons for the most heartfelt gift – type and print onto cardstock and present them in a cute little box or envelope. 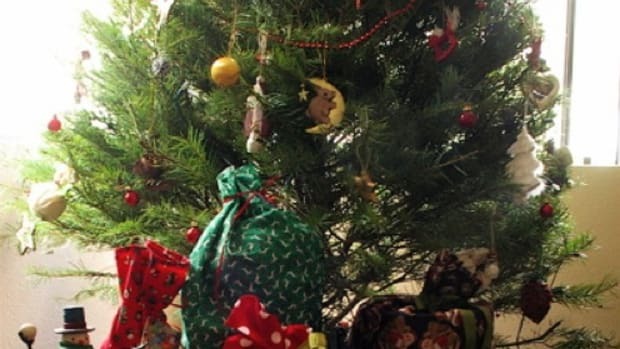 Sure, grandma will probably get 4 of these this year but that’s no reason not to make one yourself! 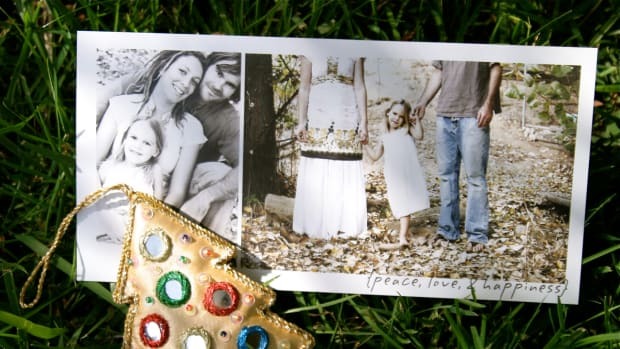 Buy a blank calendar and collage/scrapbook it with the kids, or go online to make one yourself with precious family pics. 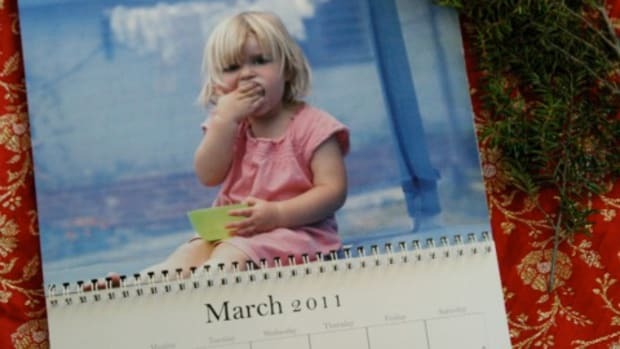 Most online photo places offer affordable calendars, I like lulu.com as you can customize all the dates and holidays really easily. Do something different like vintage family photos, funny family moments/stories, photo outtakes etc. A great one for those tricky men in your life…but don’t stop there, make them for anyone and everyone! Hunt around for interesting fabrics to use – for my teenage brothers one year I made them out of fluffy faux leopard and dalmatian print! 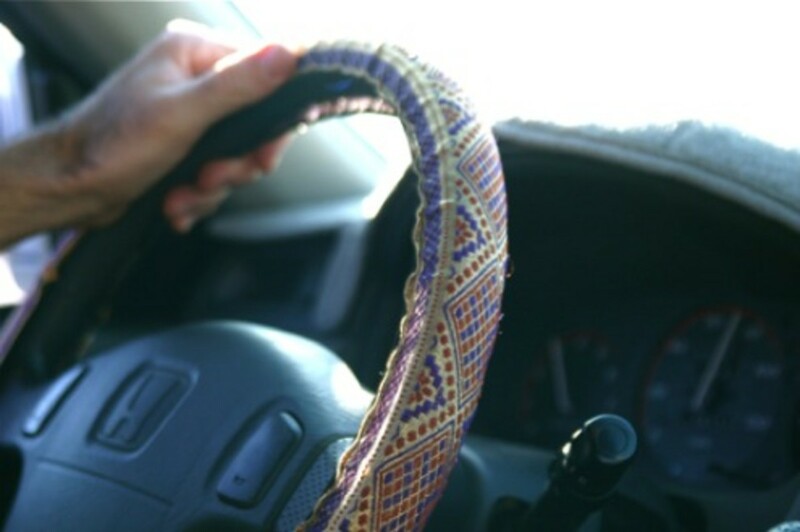 Cut a strip of fabric about an inch longer than the diameter of the steering wheel, and approx 3-4 inches wide. Cut 2 pieces of thin elastic that (unstretched) are each 2/3 the length of the strip. Sew one piece of the elastic securely to the top of one edge of the fabric strip (the inside or ‘wrong’ side of the fabric). Then stretch the elastic and continue to sew it along that edge, pulling it tight as you move down the strip. Secure it at the end, and do the same to the other side. Bring the 2 ends of the strip right sides together and stitch to form a loop. It will be all bunchy and weird looking but once you stretch it over the wheel you won’t be sorry! (for added security if your cozy is a bit slippery on the ol’ wheel, glue a strip of ‘jiffy grip’ to the inside of the fabric, or dab some hot glue gun dots along the inside to help it grip to the wheel. Possibilities are endless here folks – lets see a world with crazy-cool steering wheels! Whatever you make, remember – they will LOVE it, because it came from you, and your clever hands…so have fun, breath deep, enjoy the holiday season!